​In just 50 years the UK has lost 95% of its flower meadows. A single flower meadow will hold between 100 and 150 wildlife species. If you only have a small space, buy a pack of native flower seeds to produce your own small meadow. If you are interested in saving wildflowers visit Plantlife. 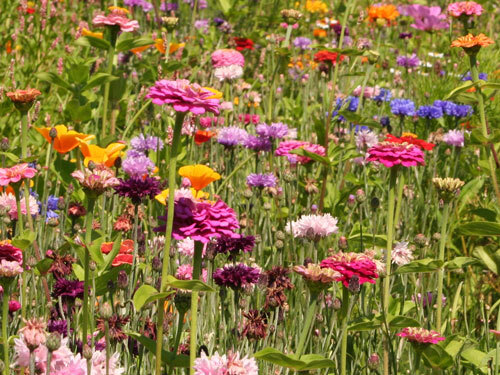 ​​Plant your own flower meadow. ​Buy from local suppliers to minimise travel miles, helping reduce greenhouse gas production. ​Some fungal diseases take a hold in our gardens because we plant when the soil is too cool. This makes the plants stressed and less able to fight off diseases, so before you know it, you’re dealing with sick plants. For more advice on soil warming click here. ​We have lost 190,000 miles of hedgerows in the last 50 years. Hedgerows offer a great environment for biodiversity of animals, insects and plants and we need to replace as many as possible. 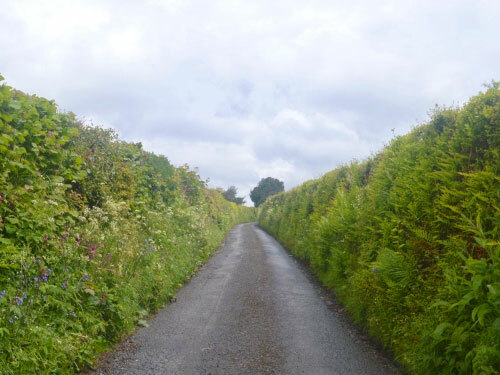 190,000 miles of hedgerows have been lost in the UK. ​Check with your garden centre to check if the plants you are buying are viable, not inert (sterile) species. They may look nice but if they don’t produce pollen, they can create a wildlife desert.